Prior to 1908, worship services were held on Sundays in the assembly hall on the second floor of the Bemis Mercantile Company. (This assembly room was used by the company for their employee meetings as well as a place to watch movies on Saturday afternoon.). 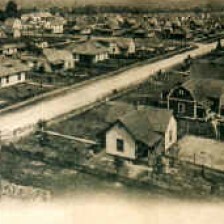 Various ministers came in to conduct the services which proved to be unsatisfactory so to relieve the situation, the Memphis Conference of the Methodist Episcopal Church, which met in Jackson in 1905, was asked to supply a pastor for a one year period. Bishop W. W. Duncan appointed Rev. E. B. Terry to this position, which he served until 1907. Rev. T. F. Sanders succeeded him and served for the next two years. In 1908 Judson Moss Bemis, founder of the Bemis Bro. Bag Company, provided for a the construction of a church without cost to the community. 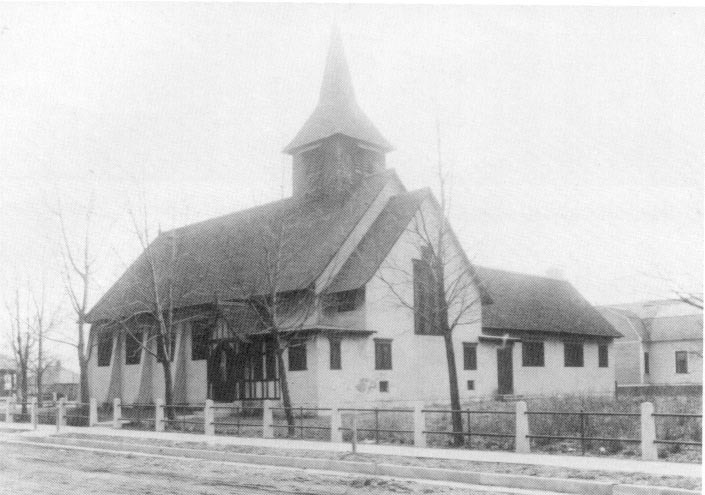 Mr. Bemis was in attendance as the chuch was dedicated on April 19, 1908 as the Union Church. At this time an endowment of $600 per year was set up as the passtor’s salary. This endowment continued until 1974. The structure of the church is Old English architecture. 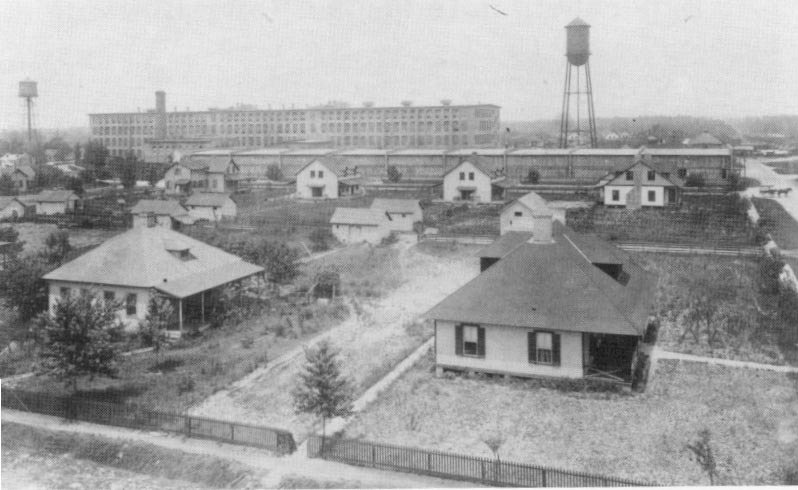 The materials were cut in Boston and shipped to Bemis by railroad to be assembled on site. The front entrance has a gable roof over arched openings; the side walls have engaged buttresses. 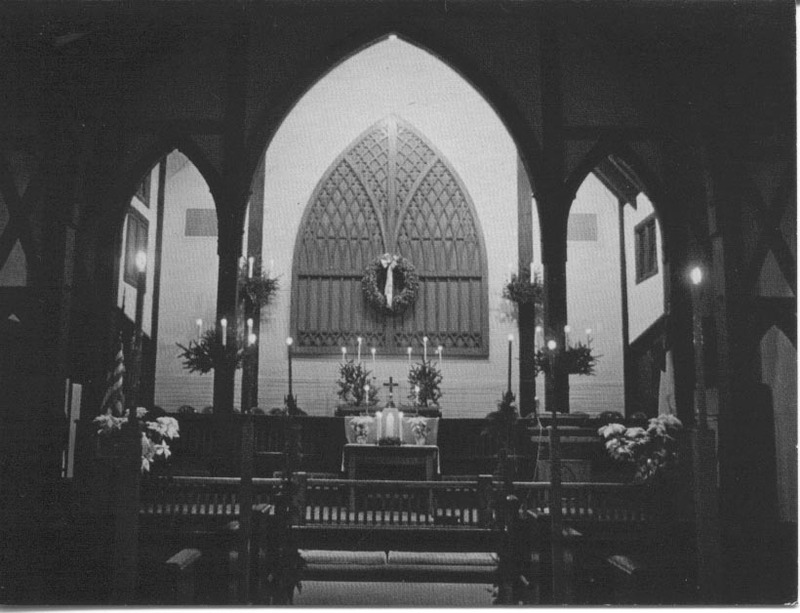 Mr. Bemis’ son, Albert, a graduate of MIT in Boston, hired architects from the Boston area to help in the design of not only the church but other structures in the Village. Some say the sanctuary ceiling reminds them of the shape of a boat. The church was originally used by the Baptists, Methodists, Pentecostals and followers of the Church of Christ. Over time, due to enlarging the Mill, a population increase caused the church to need an addition. The Chapel was added in 1922 and was built of concrete and stucco. Between 1911 and 1919, other churches were built by Baptist, Pentecostal, and Chuch of Christ congregations. The church remained a Union church but was under the care and direction of the Memphis Annual Conference until October 1949 when it was officially given to the Memphis Annual Conference and dedicated as a Methodist Church. A cornerstone marker at the front of the chapel area bears these important dates. During the early days of the church, the Ladies Aid Society was formed. In 1919, the Women’s Missionary Society was organized with 30 members. J. B. Young served as the Church’s first Sunday School Superintendent. Extensive additions and remodeling have been done to the church building. In 1946, a Wickes Pipe Organ was installed, including a full set of chimes. This organ is still in use. During the 1950’s, a Child Care Center was started at the YMCA in Bemis. Its first directors wer Ralph and Carolyn Howard, followed by Mrs. Sue Moore. A short time later, Mrs. Stella Duncan began working with the children in the community and held some activities in the Bemis Park. In 1956, this program as moved to the Church where Mrs. Stella, along with Mrs. Ethel Walters, started a half-day kindergarten program. Through the years, the Bemis Methodist Child Care Center has grown to be a well-respected facility where emphasis on Christian principles and ideals are encouraged. The Center continues to play a vital role in the community as well as an outreach ministry of the church. In 1967, a new dining/kitchen area, office, additional classrooms, restrooms and nursery facilities were added. Renovation of the children’s educational area was done in 1956. In 1975, the former National Bank of Commerce presented the church was a set of Schulmerich Carillons which are quite rare and allows music to be placed through outside speakers to many areas of Bemis. In 1987, an outstanding sound system was donated by Carl and Val Perkins. Mrs. Nell Bingham designated a substantial part of her estate to the church. 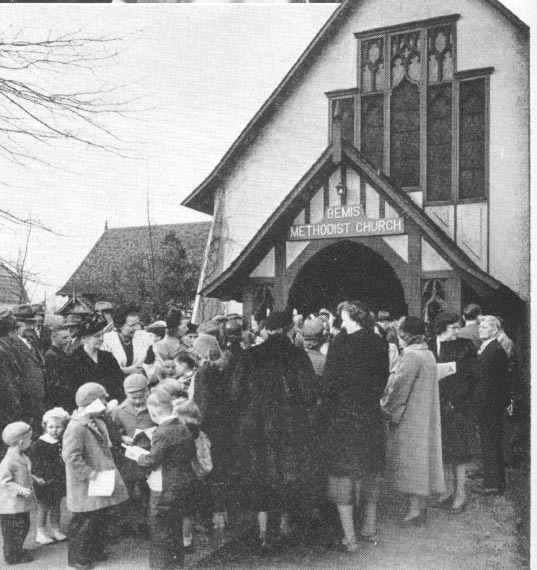 Through the years, many church members and families of the Bemis community have contributed generously to the work and growth of the church and its programs. In the early 1900’s, a beautiful two-story house was constructed at the corner of Fifth Street and Massachusetts Street for Mr. J. B. Young, manager of the mill. It later became the parsonage for the Church. In 2004, the parsonage was sold to a family in the church. In the 90th year of the church (1998), under the leadership of Mrs. Virginia Sylvester, the Colonial Dames XVII Century, Capt. Charles Barham Chapter, honored the church with a historic marker, which celebrated the church’s heritage in the Bemis community. In 2002, The Daughters of the Coloniosts, Col. Gideon Macon Capter made a similar presentation to the parsonage.